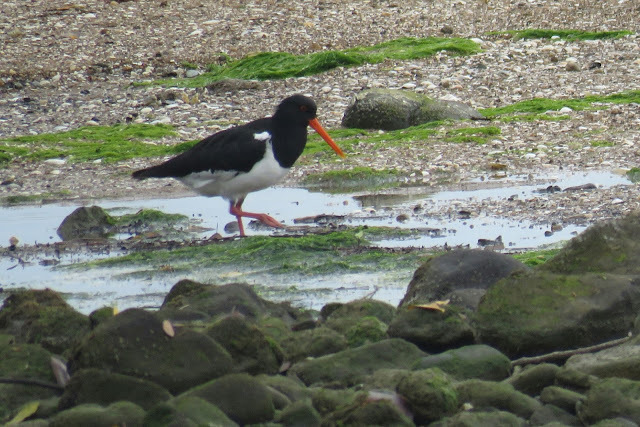 We can ID this oystercatcher as a South Island Pied Oystercatcher by its striking black and white plumage, long red-orange bill and red legs. 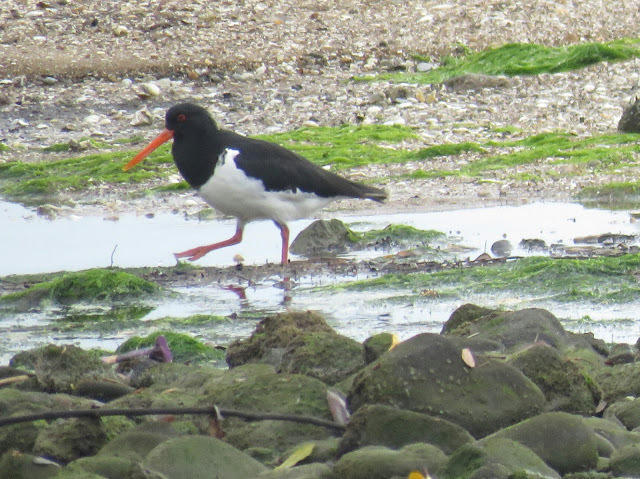 The white notch in front of the folded wings distinguishes the South Island Pied Oystercatcher from the Pied morph of the Variable Oystercatcher. The South Island Pied Oystercatcher is a new species to our Photographic Life List, which now stands at 733.